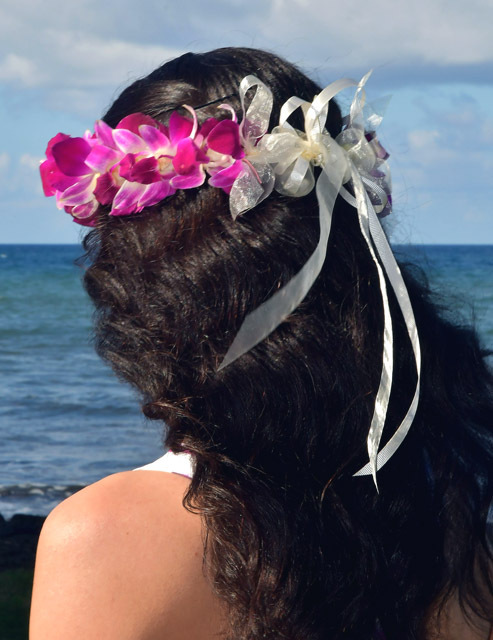 Our optional maile-style ti lei is worn by our groom, Alex. 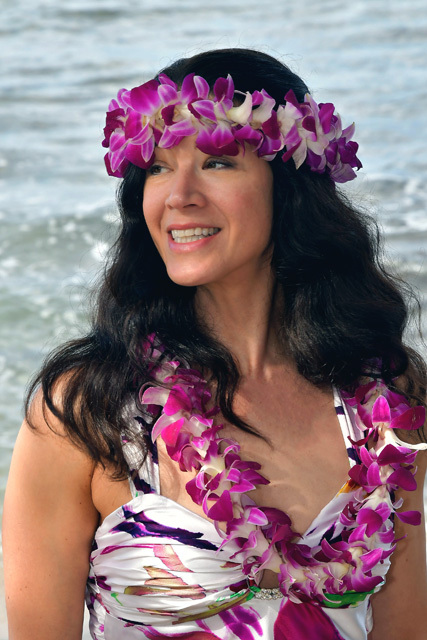 Haku (head) lei and one of our standard ceremonial lei. 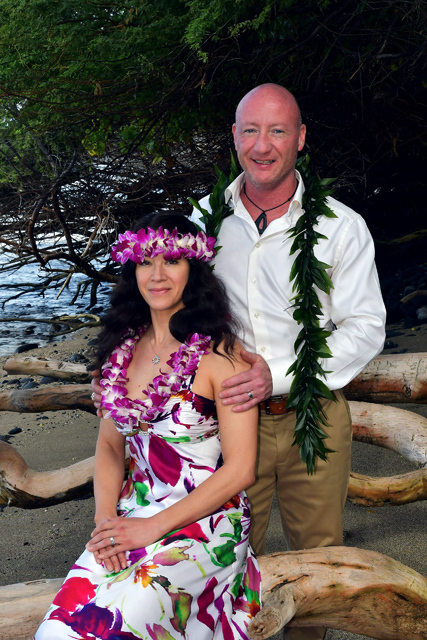 P O Box 817 - Pu'unene, Maui, HI 96784-0817. .